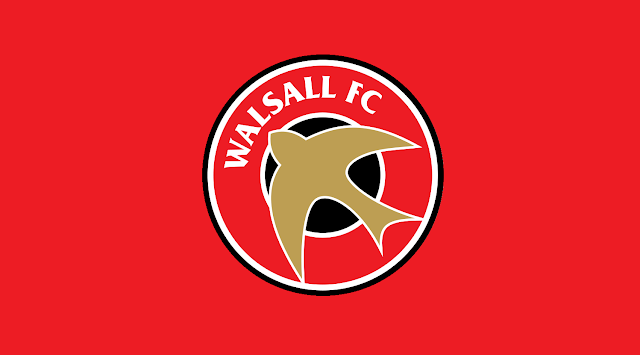 Walsall goalkeeper Joe Slinn, defenders Dan Vann and Callum Cockerill-Mollett, and strikers Dylan Parker and Cameron Peters are currently spending time away from Banks's Stadium as they look to force their way into Dean Keates' first-team plans. The freezing weather took its toll on this weekend's loan watch as neither Rushall Olympic, who currently have Joe Slinn and Dylan Parker amongst their ranks, nor Chasetown, who see Dan Vann and Callum Cockerill-Mollett ply their trade for the Scholars faithful, were in action as their clashes with AFC Rushden and Diamonds and Glossop North End were both victims of a hard frost. Cameron Peters' Bromsgrove Sporting were in action however as they made the trip to In2itive Park where they faced Yaxley in their latest Evo-Stik Southern League Division One Central fixture of the season. Sadly for Cameron he had to make do with a place on the bench for the vast majority of the match - he would replace Richard Gregory with eleven minutes of the second-half remaining - as manager Bren Kelly opted to make few changes with the view of building upon last weekends victory over Thame United. Saturday's match was a superb action-packed contest as nine goals were scored with the Rouslers bagging six as Richard Gregory (28'), Kieren Westwood (30', 70'), and Jason Cowley (45+1', 63', 74') all netted giving the visitors a comfortable victory. Charley Sanders (16'), Tom Waumsley (45+2'), and Matt Sparrow (72') were able to get on the scoresheet for Yaxley but were ultimately on the losing side as Sporting eased to victory on a chilly afternoon in Cambridgeshire.